This quarter’s spotlight shines on the creatively fun Michelle Muth! Be sure to check out the links embedded in her story to learn more about Michelle. Michelle Montgomery Muth, MT-BC and founder M3 Music Therapy, LLC. Having worked in both the corporate and music worlds my entire professional life, I bring a unique life-experience to the field. I came to music therapy later in life, returning to school in 2006. Music therapy first peaked my interest when I was in high school and I volunteered in a hearing-impaired classroom and had opportunities to work with individuals with developmental disabilities. At the time I didn’t realize that this classroom was on the cutting edge as IDEA had only come into being a few years earlier. (Yes, I’ve dated myself as that was in the late ‘70s). 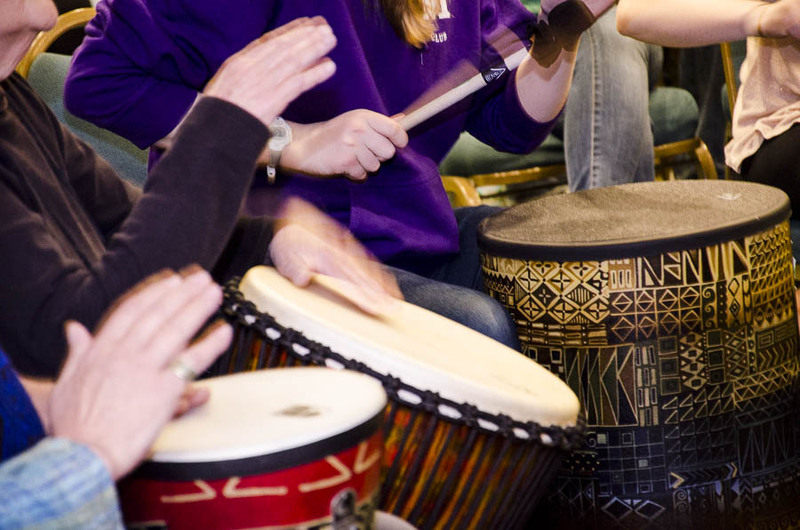 When first entering college I considered music therapy but for a variety of reasons chose the performance route instead. Having worked my way through college to receive a bachelor’s degree in music, piano performance; finding work strictly in music was always a challenge. Not afraid of hard work, I worked in various administrative roles during the day honing my music skills in the evening with long hours of practice and directing various choral and church groups. I found myself invigorated by both the business and music work in my life. Both areas of my life bloomed. Movement up the corporate ladder in the areas of marketing and public relations continued while taking on more music responsibilities as music director of church music programs for adults and children and the Cantemus Chamber Chorus. When my career track guided me to the Internet search engine and information technology industry, specifically Northern Light Technology, I found a company and industry in which I could believe. I was passionate about the industry, had fantastic co-workers and a gift for communicating and understanding all aspects of the business. I carried a full workload managing all tradeshows, creation of marketing collateral along with press and analyst relations. Music had to be put aside. In hindsight, having kept music alive in my life would have helped to provide balance. The work was exciting, fast-moving and cutting edge. With 60+ hour work weeks and travel often six weeks at a time, I experienced burnout – frustration, short-temper, no creative outlet, feeling under appreciated. Why didn’t I simply sit and play the piano to relax? I am a classically trained pianist and up to that point, had never really learned how to improvise and relax at the piano. So, to play, when I had not been practicing, was torturous often causing more frustration than relaxation for me. I was not engaged with the music and beginning to disengage from my job and career. I needed a change. Not until 2006 did I find the right ‘fit.’ Life circumstances allowed me to return to my first love – music. I completed a second undergraduate degree in music therapy and music education – both areas I had an interest in when first attending college. Fast forward to 2011, when I became a board-certified music therapist (MT-BC). With my business background working in start-up companies, and the very limited job opportunities in the Pittsburgh area for music therapists, I founded M3 Music Therapy, LLC. 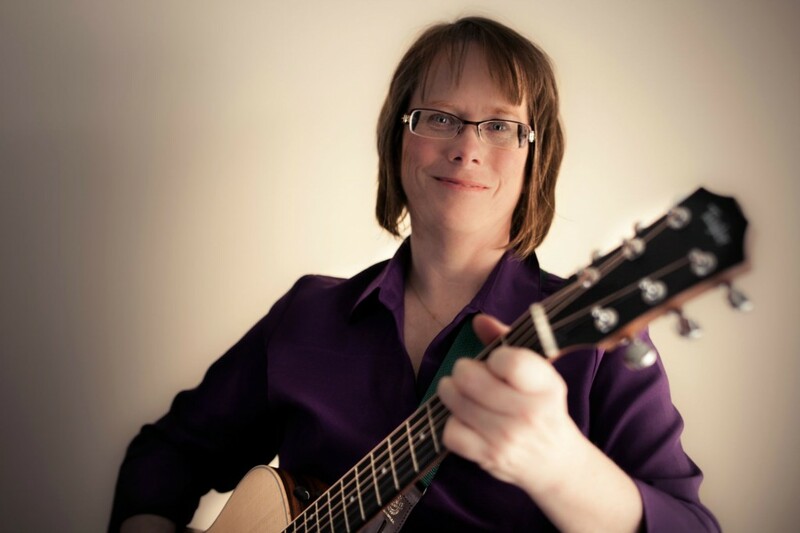 The training and experience of becoming a music therapist has influenced every aspect of my personal, professional and musical life from my work with family-groups to faith-based organizations to businesses in which I use music to build community. Music has been a major part of my life since childhood as I’m sure it has been for many of us. During my tumultuous teen years, piano and subsequently guitar; were my lifeline. Upon reflection I may have remained in corporate America if I had found someway to use music as a creative outlet. I didn’t really learn this until I studied music therapy. I have two specific examples as an adult that turned my heart back to music therapy. When my great-uncle, at the age of 80, was in his last days of congestive heart failure, my sister and I went to sing him a few Christmas carols. Now my great-uncle had spent his life as an organ installer all over the Northwest – singing to him you did not take lightly – we practiced. The evening we went to sing he was in a hospital bed in the living room with my great-aunt and some old friends near by. He had not spoken in a couple of days. After our singing, Charlie struggled to open his eyes and mouthed the word ‘beautiful.’ I had no idea our singing would mean that much to him or that I would receive so much in return. The second experience was with my mother-in-law, who had dementia and was not happy in the skilled nursing facility. At the age of 89, she was at the difficult stage of dementia in which her memory was failing, had hallucinations and yet she knew she wasn’t at home – that twilight of dementia between clear thought and non-reality. My husband and I were visiting and helping to put her to bed. She and I were holding hands and she would not let go, full of anxiety. It was Christmas time and I begin to sing or hum Silent Night as my husband sat near by. About 10 minutes later she had drifted off to sleep and relaxed her grip on me – the first time she seemed relaxed during our visit. I saw in these two instances how music aided two people that I loved and how it affected me. I felt like I contributed to easing their discomfort and how those brief moments gave me an insight into the importance of music in their lives. I am passionate about helping music therapists to better communicate what it is that we do. With my experience in marketing and specifically public relations combined with coming to the profession later in life, I have a skill set – possibly uncommon in our field – that allows me to look at how we describe things with an outsider’s eye. To that end, I have committed a portion of my business to education and advocacy about music therapy. I am actively creating workshops, presentations and video tools geared towards helping us become better communicators about music therapy to the general public. The first example is the visually engaging and well-crafted Vlogumentary: What is Music Therapy [http://www.tinyurl.com/whatismusictherapy] that I created with Rusted Sol Pictures. It is designed for music therapists to use to help spread the word about our field to the general public. More collaboration with Rusted Sol is coming with a series of Vlogs. Keep an eye out for presentations and workshops I’m developing on Effective Communication. Lastly, I am blessed to be working with a fantastic team as a member of the Pennsylvania State Task Force for Licensure. I make a point to have some for my own self-care. You can find me walking the hills of Western Pennsylvania with my dog and husband, trying to reclaim a long lost garden, laughing at the antics of our three cats and enjoying good food, wine and, of course, ice cream.